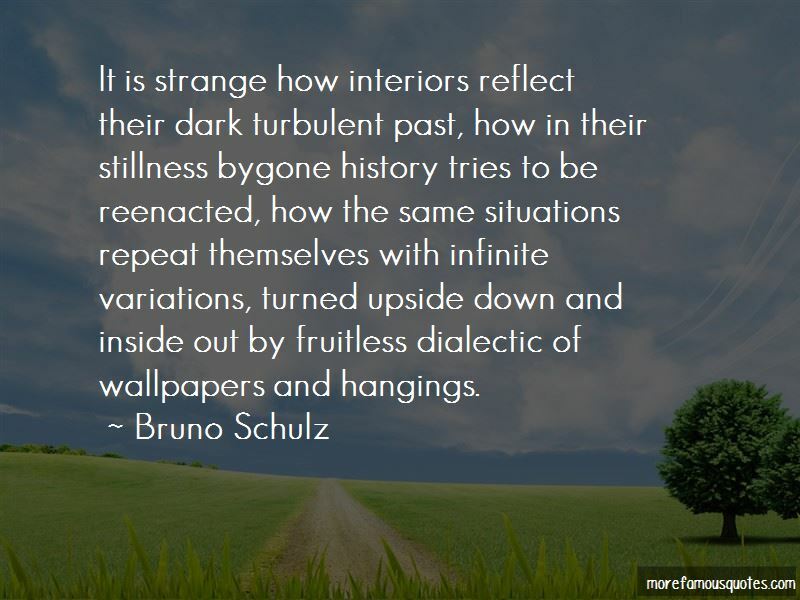 Enjoy the top 47 famous quotes, sayings and quotations by Bruno Schulz. My ideal goal is to "mature" into childhood. That would be genuine maturity. The sound of a barrel organ rising from the deepest golden vein of the day; two or three bars of a chorus, played on a distant piano over and over again, melting in the sun on the white pavement, lost in the fire of high noon. Should I tell you that my room is walled up? ... In what way might I leave it? Here is how: Goodwill knows no obstacle; nothing can stand before deep desire. I have only to imagine a door, a door old and good, like in the kitchen of my childhood, with an iron latch and bolt. There is no room so walled up that it will not open with such a trusty door, if you have but the strength to insinuate it. 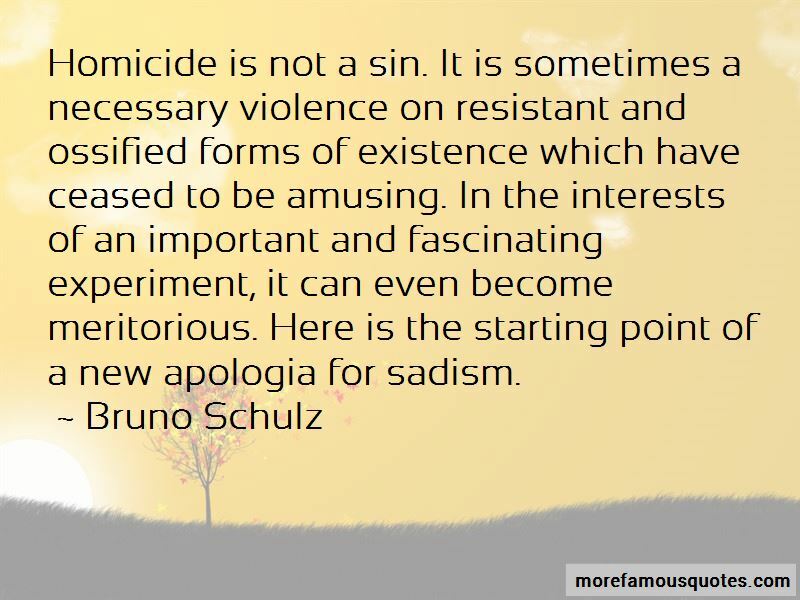 There is no dead matter," he taught us, "lifelessness is only a disguise behind which hide unknown forms of life. The range of these forms is infinite and their shades and nuances limitless. “The crowd laughs at the parody. Weep, ladies, over your own fate, when you see the misery of imprisoned matter, of tortured matter which does not know what it is and why it is, nor where the gesture may lead that has been imposed on it forever. Each of them has only one moment, a moment when it soars screaming like the phoenix, all its pages aflame. For that single moment we love them ever after, although they soon turn to ashes. So, it comes to pass that, when we pursue an inquiry beyond a certain depth, we step out of the field of psychological categories and enter the sphere of the ultimate mysteries of life. The floorboards of the soul, to which we try to penetrate, fan open and reveal the starry firmament. 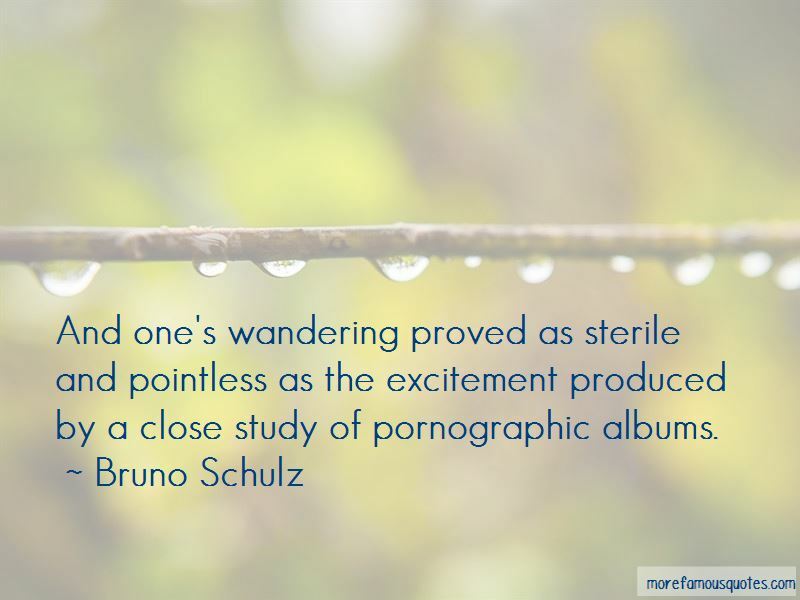 Want to see more pictures of Bruno Schulz quotes? 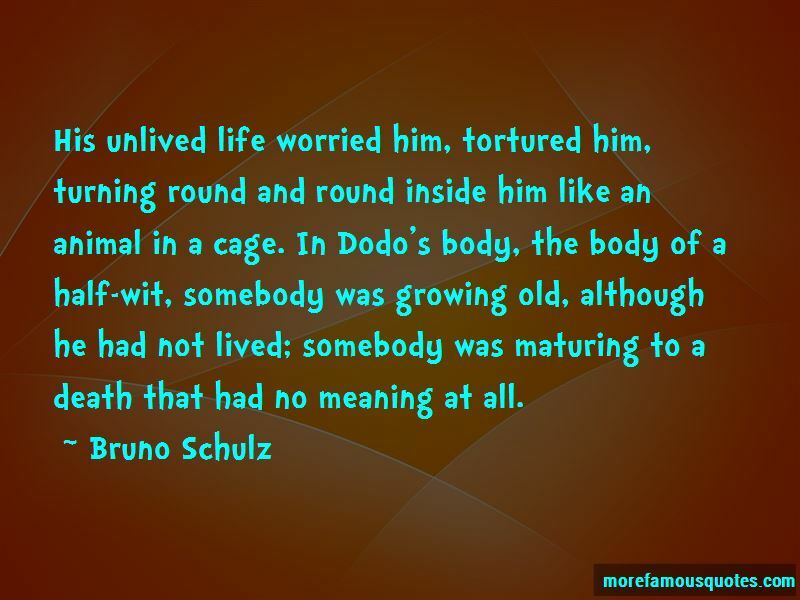 Click on image of Bruno Schulz quotes to view full size.